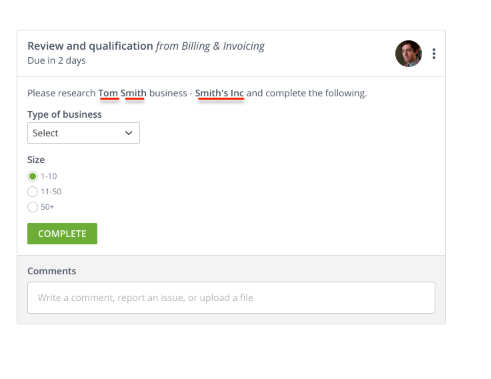 Insert Variables can be used to ensure all users see the right information on the right task. They are placeholders for any form field entries. 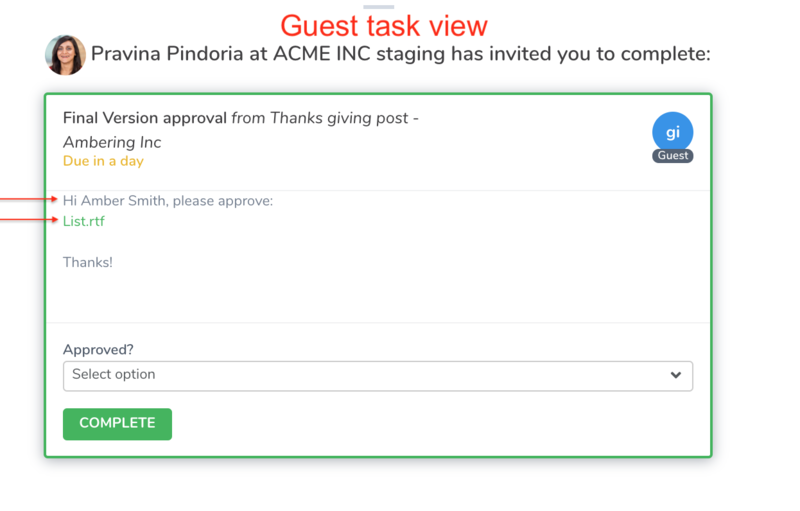 You can insert a form field value into the description of any process task so that the assignee of the task has all the information they need to complete the task. 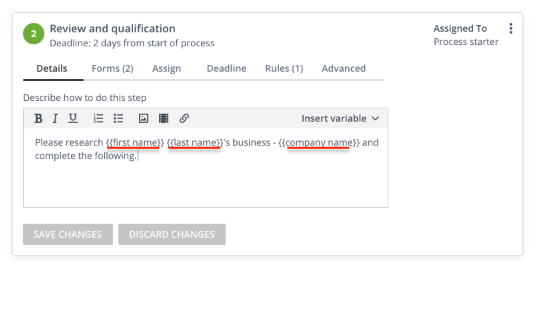 If the form field value changes, the variable will also change. 1. 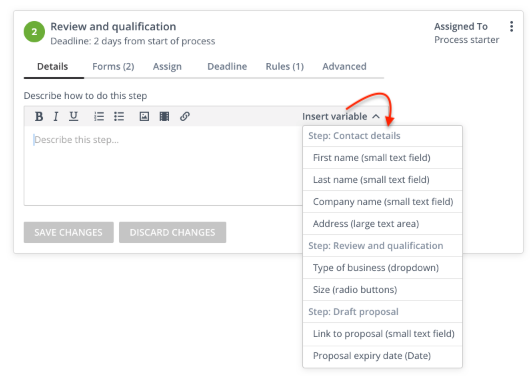 Create your form fields in your template steps. We would love to hear where else you would like to see 'insert variables' within Tallyfy. Please contact support with your feedback and feature requests. What is a 'kick-off' form? How can a I make sure a user completes the form?